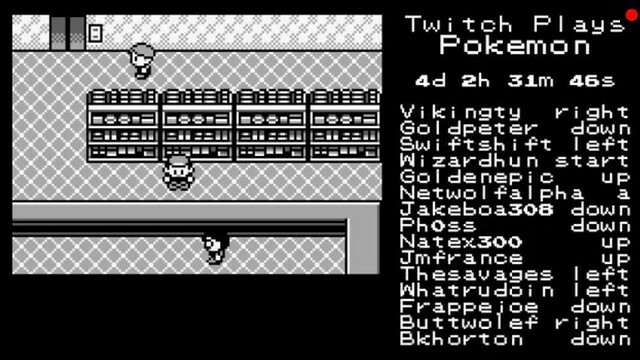 A new channel called twitchplayspokemon has just made it possible for anyone to play the active game of pokemon red. You join the chat and just input your command by typing it. So type “down” or “up” or “A” or “Start”. It’s insane. I tried watching it and it was really difficult and frustrating since you have some folks who really want it to progress but you also have some trolls who just want to mess things up. I like how the internet comes up with things like this though. It’s a really fun social experiment and the concept can be refined and reapplied to something more constructive. We’ll see. For now, watch the video below and prepare to be mesmerized. This has been going on for a few days already by the way. I will think about what the other applications can be in the meantime.